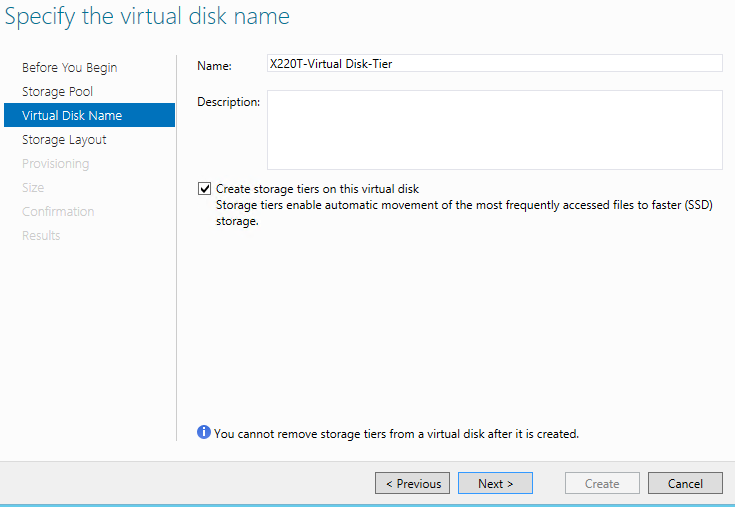 If you are like me you have a test lab or something similar where you would like to test out how tiered storage works in 2012R2. My lab setups are two laptops with SSD drives with attached 3TB USB 3.0 HDD. In my grand plan I would create a new storage pool attach the remaining space from the SSD (used 40GB for OS) and the USB HDD and I would have tiered storage. My first sign of trouble was the following in my physical disk view of my new storage pool. Unknown media type? Undeterred I proceeded create a new virtual disk and setup tiering. Unfortunatley my little magic check box is grayed out with a warning that says I need a HDD and SSD. Huh, now what? I figure that all things get fixed with PowerShell in this brave new world so I start digging. I found the Set-PhysicalDisk command. Before you run this command you must do two thing. First, create your storage pool, if you don’t do this the command will give you an error. Second you need to get the name of the physical disk, Get-PhysicalDisk comes in handy here. 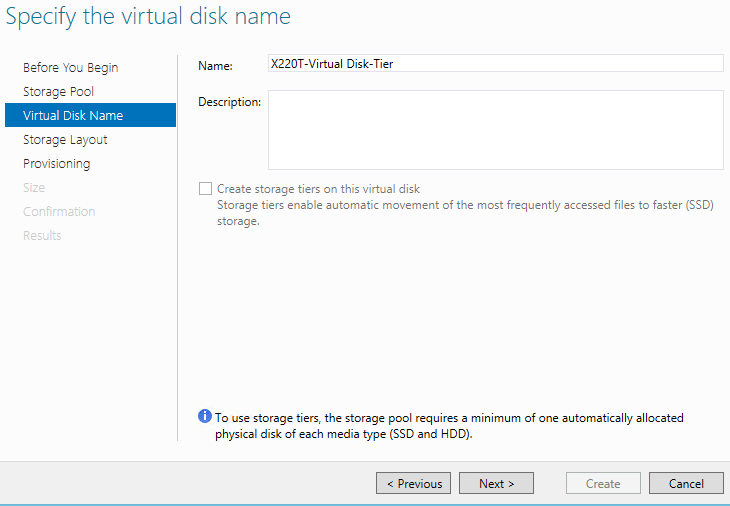 Set-PhysicalDisk [NAMEOFPHYSICALDISK] –MediaType HDD and…. Keep in mind you need to restart the wizard to get the media type refreshed and be able to create the tier. I stumbled upon some e-learning today that you might find useful. It is called Snack Box and it provides small learning snacks and allows the community to also post “snacks”. It is available here. What do you think of it?